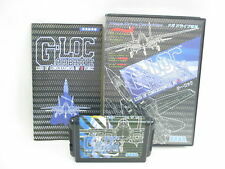 G-LOC Air Battle. Instruction - C.
Super Famicom Nintendo　NTSC-J. BATTLE DODGE BALL II 2. 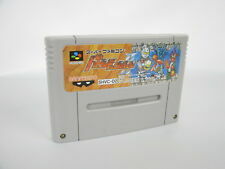 Nintendo Super Famicom Tetris Battle Gaiden. Japan Version. Working Tested. Nintendo Super Famicom NTSC-J. BATTLE MASTER. Instruction - B.
Nintendo Super Famicom NTSC-J. SUPER BATTLE TANK. Instruction - B.
Nintendo Super Famicom NTSC-J. Instruction - C.
I will do our best to solve your problem. ※With compensation. I try to find you a product that you would like in Japan. ※Without compensation. ● Platform: Nintendo Super Famicom. / S Famicom SFC SNES / Japanese Ver. NTSC-J（Japan Region）. Japanese Instructions included. ※With compensation. I will do our best to solve your problem. I try to find you a product that you would like in Japan. ※Without compensation. Sonic Spinball (Sega Genesis, 1993) Genesis GAME! Classic ! We are really glad to have a deal with people all over the world. Our products are 100% Authentic. Middle East. SONIC THE HEDGEHOG SPINBALL Sega Genesis With Box. Condition is Very Good. Shipped with USPS First Class Package. Game is tested and works great! See pictures for details. Check out all my other fine games! Thanks and good luck!! Condition is a personal opinion. ■Language: Japanese. Instruction manual. I will provide courteous and responsive service. Here you can check the details of the item in the photo. I will look it for you. From Japan. (There is a feeling of use, there are rubbing, scratches and dirt.). and you will wait about 2-4 weeks. and you will wait about. Netherlands, Spain,France,Ukraine. unavailable due to temporary issue in the region. I will do our best to solve your problem. ※With compensation. ※Without compensation. Transfer or bank deposit (La Caixa). We are professionals with extensive experience. He knows us in our area and we are fully trusted. Any doubts you may have, you focus in the best possible way. SNES / Super Famicom - Densetsu no Ogre Battle: episode Five (JAP Import) (boxed) (very good condition) (used). Densetsu no Ogre Battle: episode Five. Spielsprache Japanese. Pattern picture! Item may differ from the photo. In good condition, considering it's age. It is in gently played with condition, adult owner. Check out the picture and grade for yourself, everyone is looking for different things and no sure what matters to you. It is complete with everything pictured - there is no box included. The pictures show the exact item for sale. It is now a piece of computing history. G-LOC Air Battle. as photo shown.